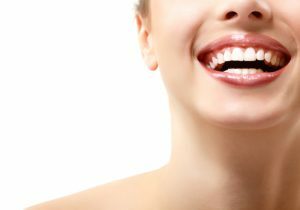 What Does It Mean to Lose Tooth Enamel? Tooth enamel is the hard, shiny white layer on the very outside of your teeth. It’s the part of the tooth that you brush, and it keeps the soft interior of your tooth protected from acids and bacteria. The teeth are the strongest part of your body (even stronger than bone), but they are not invincible from wear and tear. If you are experiencing the loss of tooth enamel, it’s time to visit your dentist in Burlington. Keep reading to find out more about tooth enamel loss — and how it can be prevented! One of the first things you are likely to notice when you are losing tooth enamel is increased sensitivity to heat and cold. The other layer of enamel protects you from the sensations caused by temperature changes against the teeth — and if you are losing this protection, you are likely to feel discomfort to hot and cold stimuli. Additionally, your teeth may start to look gray or yellow if you are losing tooth enamel. This is because the enamel is the white, shiny part that helps your smile look beautiful. When it is weak or worn, the teeth may look darker as a result. They may also be more prone to chipping or cracking with weak enamel. The first thing to do if you notice your tooth enamel seems to be wearing away is notify your dentist. Dr. Kostas can help to identify the issue to help provide the most appropriate treatment for you. Tooth enamel cannot be “replaced” altogether, but sometimes topical fluoride treatments can successfully strengthen the area. Changing your diet or kicking certain lifestyle habits can also reverse the effects of worn tooth enamel. Whatever the approach for bringing back your lost tooth enamel, you can feel confident when you partner with an expert like Dr. Kostas! Getting treatment as soon as possible is of the utmost importance for the continued health of your smile. Dr. James P. Kostas and his team offer comprehensive dental care from the office of Complete Dental Care. To learn more about enamel loss or to schedule an appointment with the dentist Burlington trusts, contact Dr. Kostas by calling (504) 282-0700 today. Comments Off on What Does It Mean to Lose Tooth Enamel?